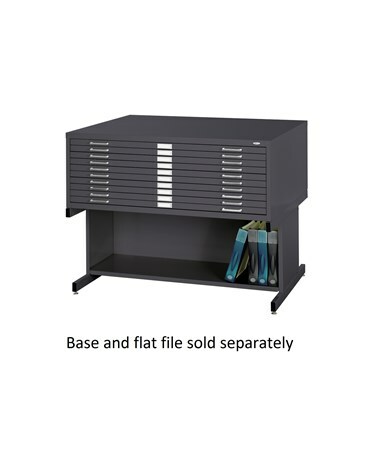 The Safco 10-Drawer Steel Flat File is a great file storage system that accommodates 30 x 42-inch sheets and holds up to 50 pounds per drawer. 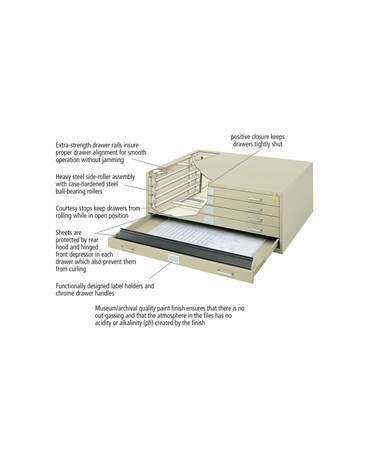 The ten 1-1/8-inch deep drawers come with case-hardened, ball-bearing rollers for quiet operation and include positive closures and courtesy stops. 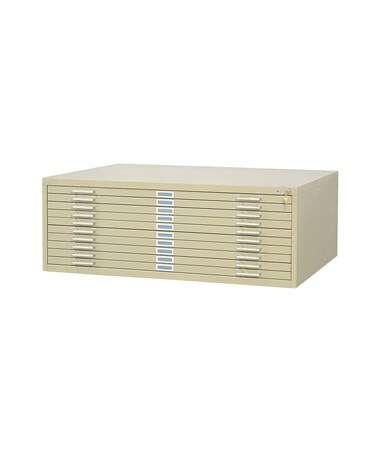 For easy use, these drawers have a rear hood and hinged front depressor. 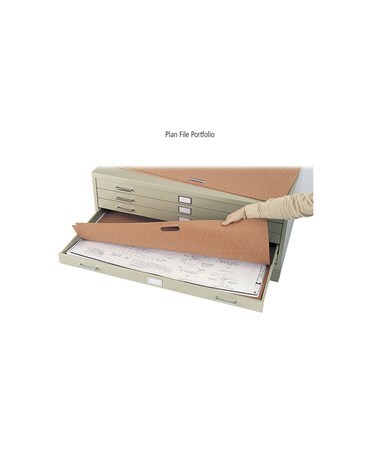 Each drawer also includes two handles and a label holder. 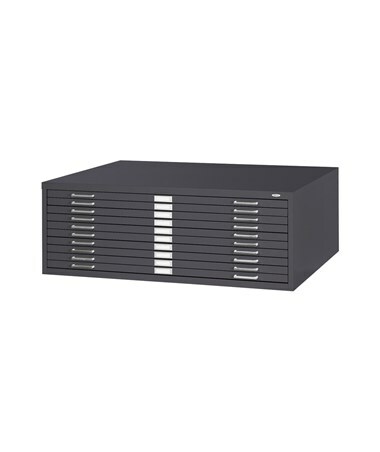 Made of 22-gauge thick steel with a powder coat finish, the Safco 10-Drawer Steel Flat File can be stacked up to 2 units on a closed base and 1 unit on a high base. It is safe for indoor use and does not emit harmful chemicals as certified by GREENGUARD. 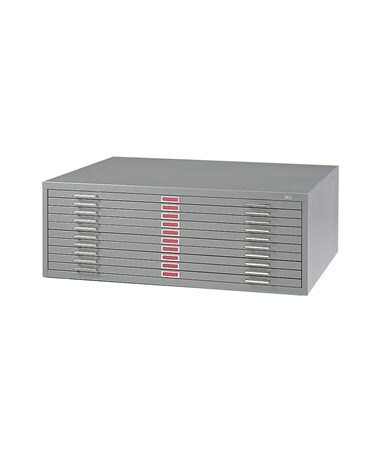 The drawers can be locked using the optional lock kit that includes a lock and two keys. 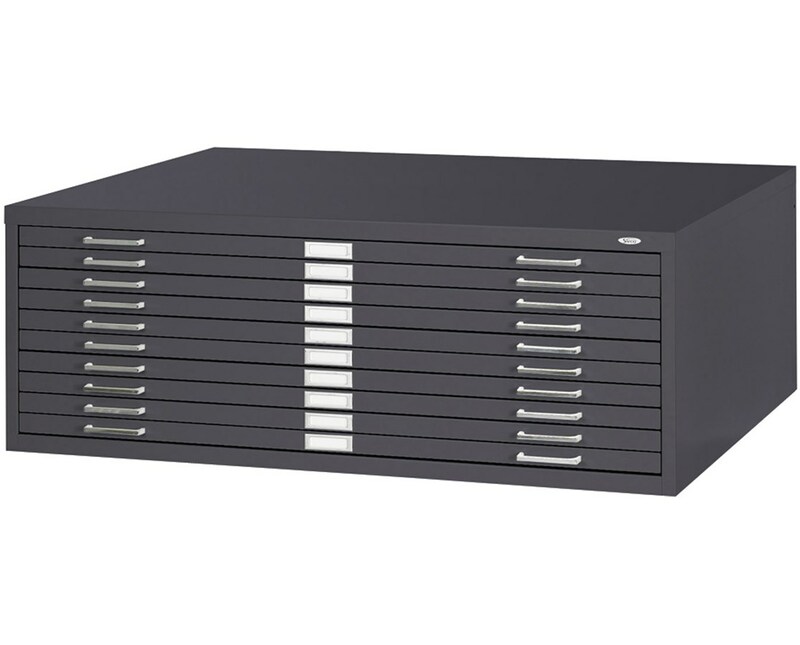 The Safco 10-Drawer Steel Flat File is available in different colors. Please select your preference from the drop-down menu above.